Hey folks iPad killer is on its way. If you dont know so iPhone4 killer is out and it is called Samsung Galaxy S i900. People say that it is an iPhone killer let us wait for a good review on it. The iPad killer is called Play Book which is by Black Berry. Black Berry will be introducing their Tablet soon. Production of RIM’s PlayBook tablet PCs at Quanta’s plant in Taiwan have reached an economic scale of 150,000-200,000 a month with shipments to be ready as early as February, according to sources at upstream component suppliers. 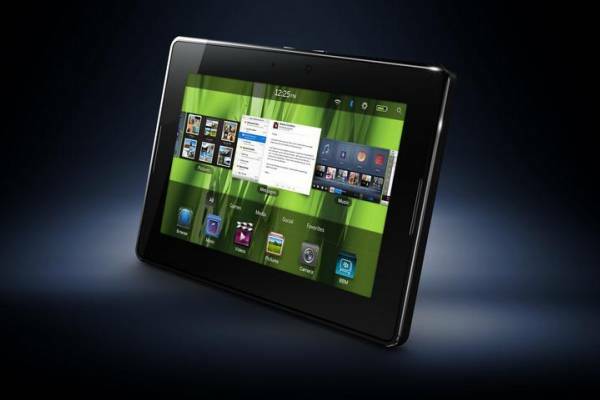 RIM has required that all PlayBook tablets be built in Taiwan to avoid of being copied by white-box makers in China, while also protecting its security specifications, the sources added. So we can expect the launch in some where in February. Till then see the video which was made by BGR (Boy Genius Reports) on the Play Book Hands On. Below are the features noticed in the Play Book. System-wide swiping from the edges – The Playbook doesn’t have a home-button. Swiping into the screen area from the different sides does things like minimising the app, opening the app switcher and bringing up on-screen options. Background video – granted it’s more of a party-trick than anything useful, but the video playing in a window in the background is impressive regardless. There’s some power in that there machine! Notifications – there’s a bar at the top of the screen similar to Android. Apple still needs to get this sorted, and we’ve been saying it for release after release of iOS – give me a proper alert management system! More pointedly, RIM chief executive Jim Balsillie has said the upcoming BlackBerry PlayBook tablet will be priced below $500 USD when it hits retail during the early part of 2011. The PlayBook, which more closely resembles the Galaxy Tab thanks to its 7.0-inch screen and support for Adobe Flash, also comes with a 1.0GHz processor, front and rear-facing cameras, support for video conferencing, and a new operating system built by QNX Software Sytems. After seeing the Video makes you say WOW! and if you look at Apple’s iPad after seeing this video review so i think you wont even think about to grab one iPad. Lets wait for the iPad2 and see what Steve Jobs has for us. Any thing new rather than the Features which were Revealed.